I am unable to attend the IAEVG conference in Gothenburg this week, as I am currently navigating work and life around* a four month old baby. 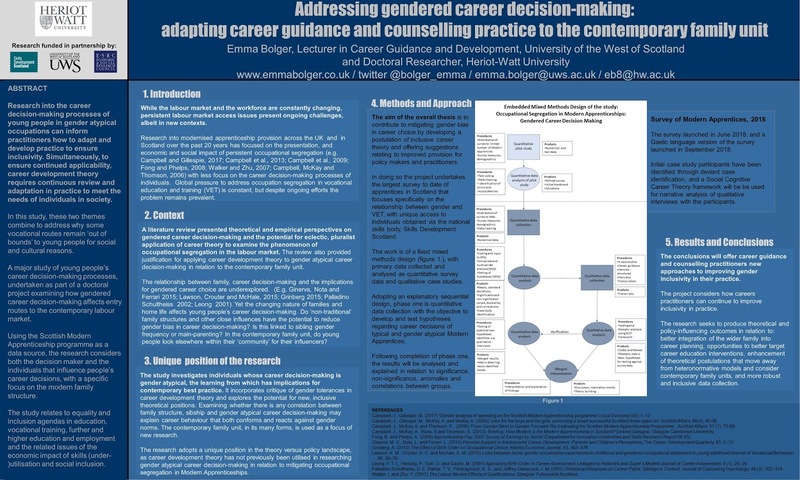 A poster summarising my PhD research, titled "Addressing gendered career decision-making: adapting career guidance and counselling practice to the contemporary family unit" is on display at the conference in my absence and can also be viewed below. *quite literally - right now she's on my lap trying to get to the keyboard of my PC!